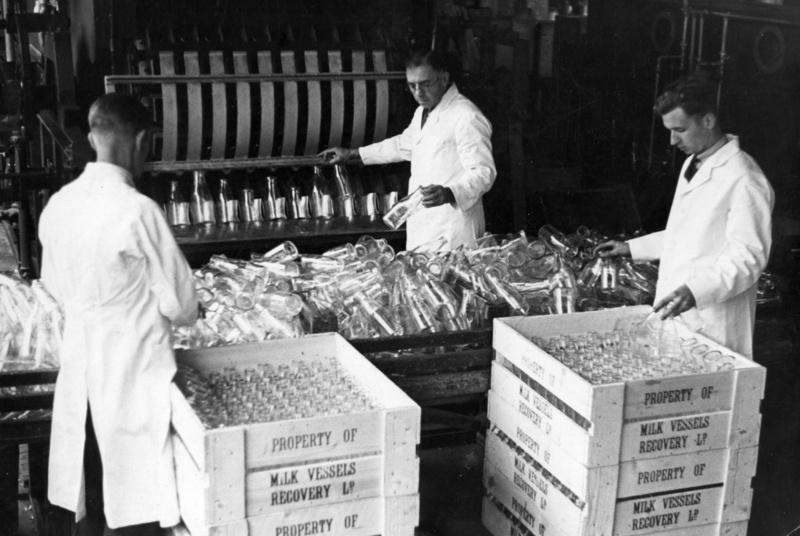 Circa 1930: Milk bottles are cleaned by machine and then collected and packed into crates by workers. It’s a green shopper’s dream to curb plastic waste: Häagen-Dazs in stainless steel pints, Tropicana in glass bottles, Pantene in aluminium containers and hundreds more products all refillable and delivered to your door in what harkens back to the days of the milkman. But whereas the milkman would replenish your dairy on the spot, this pilot program, called Loop, would collect and clean your containers before scheduling the next service. Backing Loop are dozens of big name companies including PepsiCo and Nestlé, which announced their project at the World Economic Forum Annual Meeting in hopes that eco-conscious consumers are ready to deliver on their calls for eliminating single-use containers. New York, Paris and London will be the first cities to test the refillable brands. But is the reusable market still too niche? How cost-effective would the rollout be and what unintended environmental impacts would need to be avoided, such as even more congested roads to keep up with delivery? More importantly — would you buy in? Call us at 866-893-5722 or comment below. Does the FDA’s food waste proposal jeopardize recycling? Say goodbye to plastic bags in LA grocery stores?